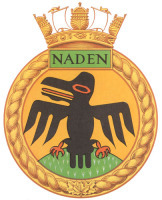 Canadian Armed Forces (CAF) Officers, Regular or Reserve Force (Class B & C), posted to CFB Esquimalt or its integral shore/lodger units, and those on Temporary/Attached Duty (with the exception of officers who are Ordinary Members of other messes). Armed Forces officers of other countries who are on exchange with or on loan to the CAF. "Retired" - Officers honourably released from the CAF. Officers honourably released from the armed forces of allied nations may also apply. "Working" - DND civilian employees of Officer status employed at CFB Esquimalt or its integral shore/lodger units, and officers of the Supplementary List, Cadet Instructors Cadre (CIC), or Canadian Rangers. "Social" - admitted to one-year membership upon the recommendation of the Mess Committee, subject to a majority vote of those present at an annual General Mess Meeting. All CAF Regular/Reserve Force officers who are not Ordinary or Associate Members of the Mess. Serving members of the Armed Forces Liaison Committee (AFLC), Honorary Captains (Navy) and Colonels, and sponsors of HMC Ships. Any distinguished persons for a term not to exceed one year, upon recommendation of the Mess Committee, a majority vote of those present at the General Mess Meeting and approval of the Base Commander. Ordinary Members: $27 / month. Ordinary Members (OCdt): $14.72 / month. Associate Members (Retired, Working, Social): $324 / year. Associate Members (Retired, over 65): $223 / year. Honorary Members: There are no fees for Honorary members.